That was the response from a Kedah elder, after he heard my explanation on the government’s proposal of a crowdfunding scheme early next year, as announced during the 2019 Budget earlier this month. We were having our evening teh tarik session at a mamak restaurant in downtown Alor Star. He wanted to know the real objective of this new initiative by Putrajaya. I told him that Prime Minister Tun Dr Mahathir Mohamad had said the scheme is “the first of its kind in the world” and would enable Malaysians to buy a home as long as they can pay the down payment of 20 per cent of the house price. The remaining 80 per cent will be funded by investors via peer-to-peer (P2P) lending supervised by the Securities Commission. I explained the objective was to help the new government deliver its promise of providing one million homes within the next 10 years. Meanwhile, some quarters have urged that we exercise caution before embracing the scheme. The chief executive officer of a mortgage broker, for instance, had said he is not against crowdfunding because it can benefit some people. However, he wants the house buyer to realise that he is “going into an investment scheme and not actually buying a house”. In a conventional bank mortgage, a house buyer locks in the price at the time the deal is signed, but in a crowdfunding environment, after putting down the initial deposit of 20 per cent, the buyer has to pay the remaining 80 per cent of the then market price five years later. What happens if the interest rate goes up, and what happens if the house price decreases over time? There are doubts that this new scheme can really address the home ownership problem. Equally concerned about the scheme, Khazanah Research Institute director Suraya Ismail said the initiative must be “considered carefully”. This new scheme, she said, is “for the top 20 per cent of the population and not for first-time buyers”. At the launch of the FundMyHome Programme in Semenyih by the prime minister on Nov 4, Finance Minister Lim Guan Eng said the proposed P2P funding scheme for housing will not be approved until all factors have been considered. He admitted that this new scheme “is not easy to comprehend and therefore, it is natural for people to be sceptical about it”. Lim added that, “With safeguards in place for the scheme, we can blaze a path and enable home ownership on a larger scale. We know our heads are on the chopping block. But it is a risk worth taking to deliver on our promise to build one million affordable homes”. On concerns raised by the National House Buyers Association (HBA), Lim said the government would hold a dialogue with the association on the scheme’s intricacies. He added that the Securities Commission (as the regulatory body) would examine closely the mechanics of the FundMyHome scheme. He is also hopeful the scheme would be approved in the first quarter of next year. 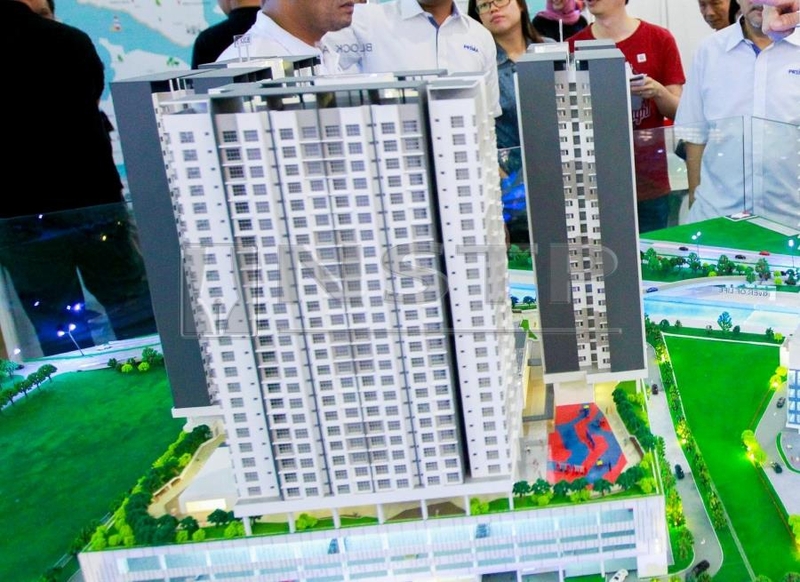 Expressing anxiety towards this new initiative, HBA secretary-general Datuk Chang Kim Loong said Malaysia is facing a housing crisis where properties are too expensive in comparison to incomes. “The real problem is one of affordability, not lack of financing”, he said. Some quarters see the crowdfunding scheme as being more beneficial to developers than house buyers. Council of Eminent Persons (CEP) chairman Tun Daim Zainuddin said that he is mindful of the federal government’s good intentions in introducing the crowdfunding initiative. However, he urged more studies should be carried out, as the idea is “something new” and that this is the first time this country “attempts to bridge the gap between low wages and high house prices”. SHORTAGE of houses for the public to rent. Instead of embarking on something uncertain (crowdfunding and P2P financing), the government could perhaps continue to focus on more rent-to-own (RTO) schemes and encourage more lease-purchase transactions between the housing industry players (public and private sector) and the house-hunting public. Sadly, instead of going forward on those beneficially-proven past initiatives, we now seem to be “going sideways”, experimenting with something totally new and probably very risky.